Today’s the day! At last, Sherlock returns for its long-awaited fourth season with ‘The Six Thatchers’, written by Mark Gatiss. The episode airs this evening on both BBC One and PBS Masterpiece. But what do we already know about the episode? What can we expect? Here’s everything you need to know about ‘The Six Thatchers.’ Along with a few of our own theories thrown in. In episode one of this new series, written by Mark Gatiss, Sherlock waits to see where Moriarty will make his posthumous move. 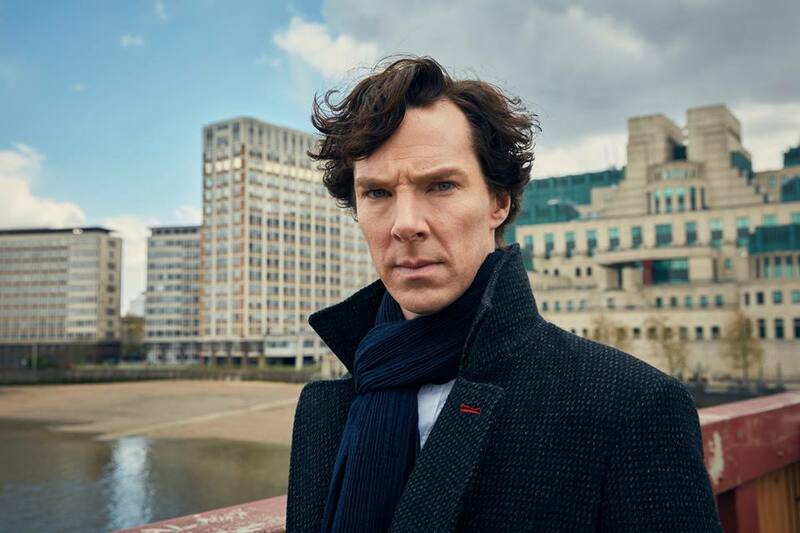 Benedict Cumberbatch returns as Sherlock Holmes, with Martin Freeman as John Watson, Mark Gatiss as Mycroft, Rupert Graves as Inspector Lestrade, Una Stubbs as Mrs Hudson, Amanda Abbington as Mary Watson and Louise Brealey as Molly Hooper. 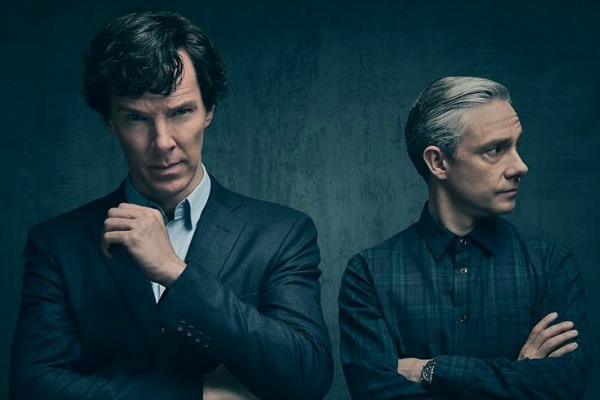 And here’s the latest video from the official Sherlock Youtube channel, featuring the cast chatting about what we can expect from the new series. 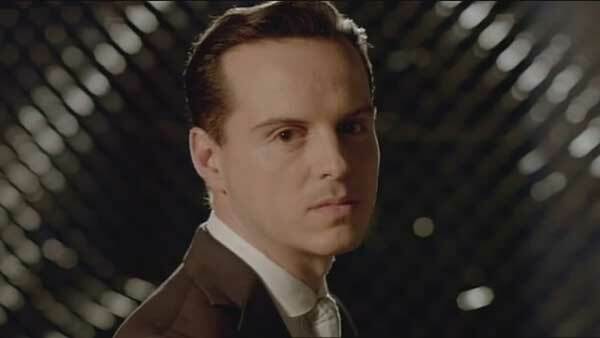 In ‘The Six Thatchers’ we will get to know how, why and if Moriarty is back. Sherlock seemed to be sure that he really is dead, but there’s still no doubt that he is back. But when and where is he going to make his posthumous move? And then there is the case which pushes Scotland Yard to its limits, with the singular detail which catches Sherlock’s attention. 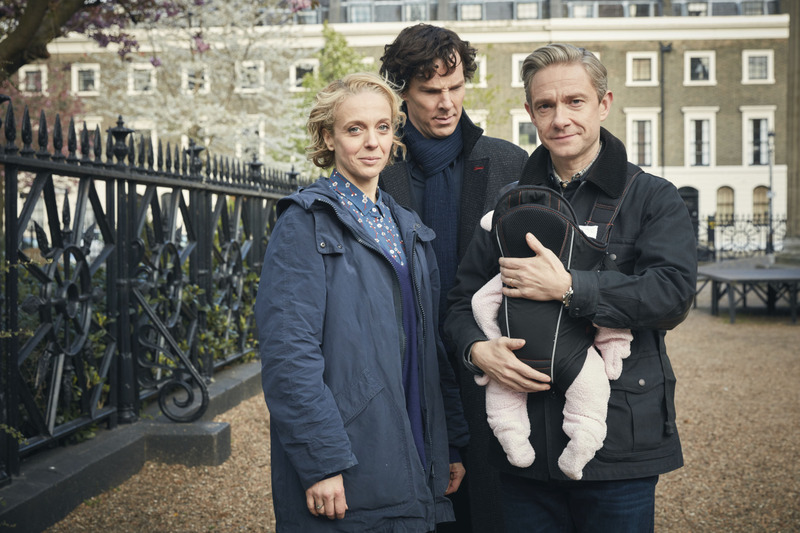 We know it will tie into Mary’s past, but will it tie into Moriarty’s return also? We think so (see our ‘Miss Me = Miss Mary Elizabeth’ theory for more). Sherlock and John Will Split Apart? Rumours say that something in ‘The Six Thatchers’ will rip John and Sherlock apart. If this is true it could mean several things. I can imagine that this is just a trick (maybe connected to the “It’s not a trick, it is a plan” scene in the trailer) to keep it a secret that they work together to fool Mary, so they are acting like they are drifting apart. So for the audience (and Mary) it could seem like the end of an epic friendship. It is possible that even Rosamund is somehow involved in tearing the two apart. Going by this episode’s synopsis, we know that Mary’s past will be further explored in ‘The Six Thatchers.’ Our theory is that over this series Mrs Watson will eventually reach to her full villain (or co-villain) potential. As I already discussed, it is likely that she will go on to die as well. Will we see the start of this descent in episode one? Talking about pasts, it is highly possibly that we are going to see some footage of Sherlock’s childhood and the reasons for his cold relationship with his brother this series. We know that Mycroft gave some important and private information about his brother to Moriarty, but so far we have no proper idea why. Maybe we will know more after tonight’s episode. 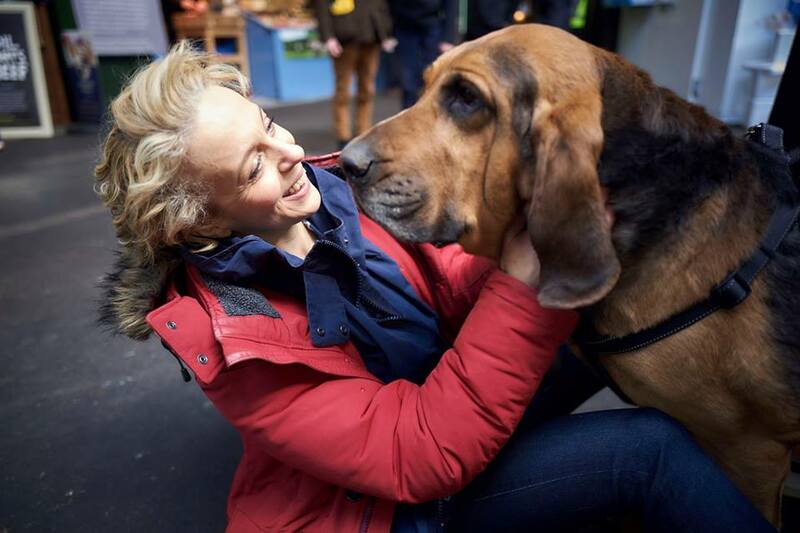 Amanda Abbington, who is commonly known to leak things by accident, said at Comic-Con in San Diego that they are going to do something which was never done before in TV history (this was followed by a shocked expression from producer Sue Vertue). So what is she talking about? A death? A relationship? Some conspiracies in the past? More Mind Palace? We really don’t know. Overall, then, we don’t have a lot of concrete information right now. But very soon we will have our answers. There is one thing we know for sure at the moment. 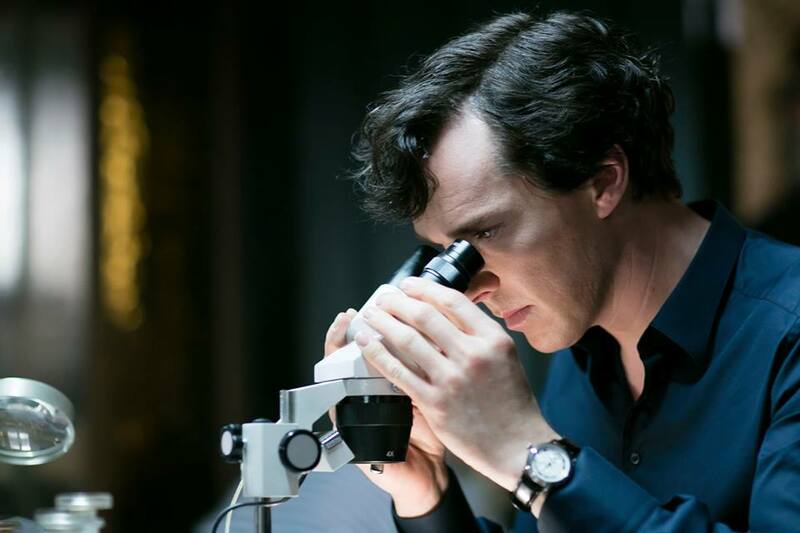 This season has repeatedly been said to be the darkest run of Sherlock so far. We’ve been waiting three years and now it’s finally here. But are we actually ready for what’s coming our way? Spoiler warnings at the top of the page is a good idea that way to keep people who have yet to watch this avoid being tempted to read the synopsis you created here. I didn’t read anything past that word thankfully, but I did open this post. Well, it doesn’t contain spoilers, just speculations and theories, but I’ll keep that in mind, thank you!